Oscar Avilés Arcos (Callao , Peru , March 24 of 1924 ) Celebrated guitarist pioneer, composer, arranger and singer. Receiving from his fans the epithet of Peru’s first guitar. He was born in El Callao in Zepita Street No. 653, Block is currently bears his name. He is the son of the union of his parents Don José Avilés Cáceres and Arcos Dona Angelina who was from Chile. He had 5 brothers: Alberto, Carlos, Olga, Oscar Enrique and Irma. His love of folk music began listening to his father who played and sang gatherings Peruvian music with friends. It was his maternal grandmother Dona Carmela Alian, who taught him his first chords on the guitar. At the beginning her father did not want to be a musician taking his guitar even to hide in a closet. But then, pressed by his friends who saw his talent, he accepted that Oscar is devoted to the guitar. Primary study in the Salesian College in Breña. He concluded his secondary education in his beloved Callao, Education Center Francisco Bolognesi between 1936 and 1937 and the Modern School between 1938 and 1940. Extended parallel guitar lessons at the National Conservatory of Music with the master Juan Brito between 1936 and 1938, then continued studies with the teacher Purizaga Isidoro. Married to Lucy Valverde de Aviles with whom she has 2 sons: Oscar Jr. and Lucita. She has 3 children over a previous commitment: Pepe, Ramon y Gustavo. It is Catholic and supporter of Atletico Chalaco. 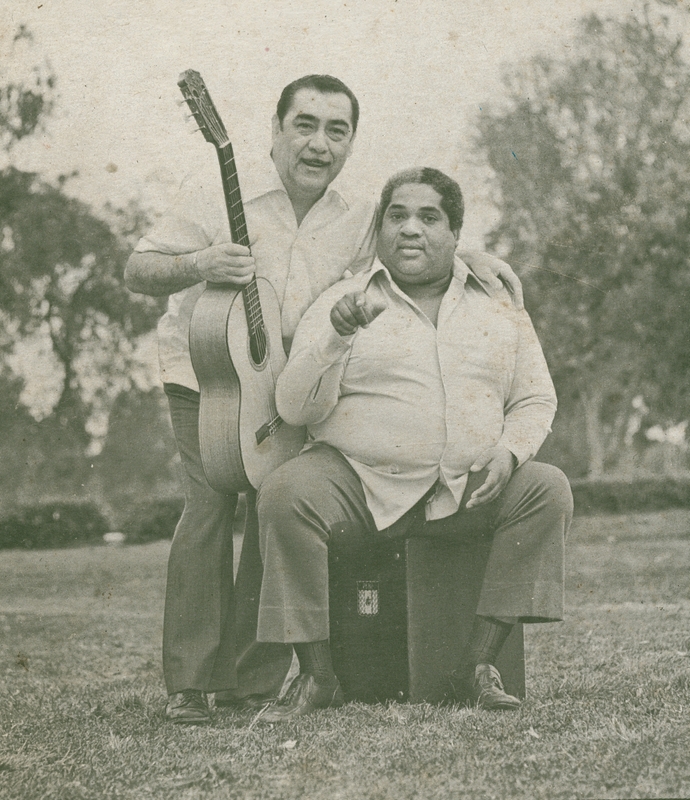 Formed the trio The Morochucos, between 1947 and 1952 together with Alejandro Cortez and its founder Augusto Ego Aguirre , who returned after a recess to meet between 1962 and 1972. Also in 1952 founded the first school of Creole-style guitar, which kept its doors open until 1967. Records in Brazil’s celebrated collection “Valses Peruanos Eternals” in two volumes accompanied by the Orchestra of Augusto Valderrama . Porfirio Vásquez, famous representative of black music in Peru, in 1963 described him saying, sang a binge, San Pedro said, who is? And the eternal Father replied: That’s Oscar Avilés. 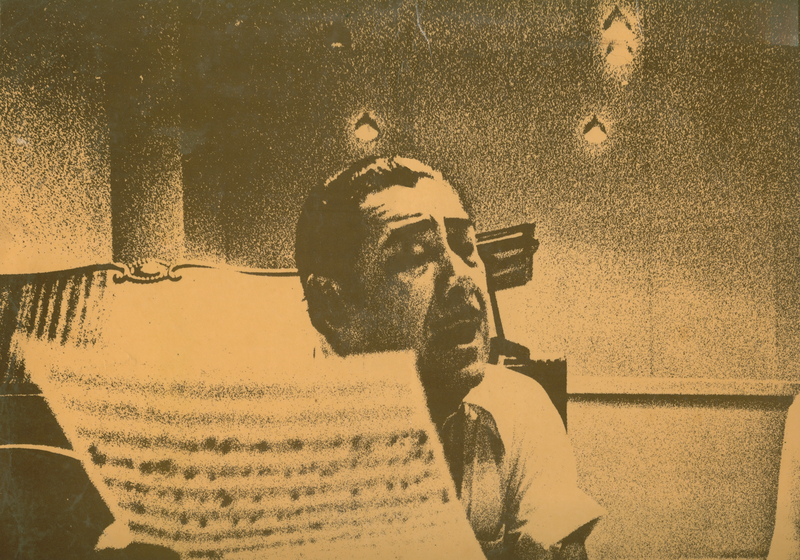 During the decade of 1970 trio with Arturo “Zambo” Cavero , and Augusto Polo Campos, recorded with many front-line Creole artists, including Jesus Vasquez, Eloisa Angulo , Panchito Jiménez, Zañartu Brothers, The Brothers Garcia, Cecilia Bracamonte, Zoila Zevallos, Peru’s Aces, The Brothers Catter, Nicomedes Santa Cruz. He has also recorded with the Peruvian tenor Luis Alva, accompany the verses of the actor Luis Alvarez and Spanish Gabriela Ortega and international folk artists as well as in the case of Olga Guillot, Leo Marini and Xiomara Alfaro, among others. As an arranger , composer , performer and promoter of folk music has earned several awards, and numerous gold records for his phonograph sales achieved. In 1987 after negotiations by the then President of the Republic, Alan Garcia, the Organization of American States honored Oscar Avilés with Jesus Vasquez , Arturo “Zambo” Cavero , Abanto Luis Morales and Augusto Polo Campos with the title of Artistic Heritage America. The Municipality of Callao in 1995 decided to give the name of Oscar Avilés Arcos to the stable where he was born and placed a plaque outside the house where he was born and raised. The Universidad Nacional Mayor de San Marcos gave in the year 2000 the distinction of Doctor Honoris Causa, the highest academic degree granted by this university, after its renowned musical.